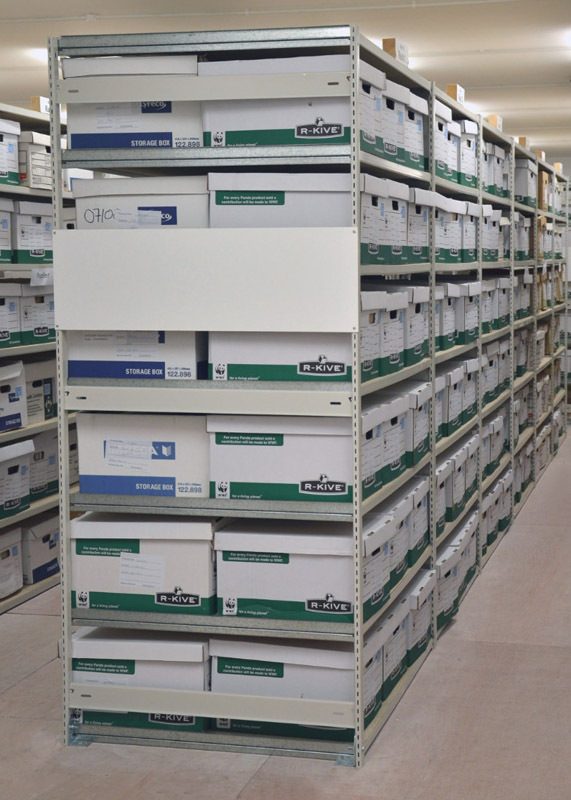 Large institutions like government bodies and local councils can have quite different archive requirements to most businesses due to the high volumes of documents which need to be kept for very long periods of time. 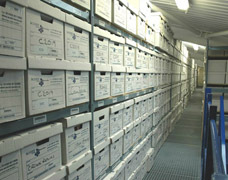 Storing such large quantities of archive documents within standard archive boxes can pose a unique challenge when storage space is at a premium or when budgets for archive solutions are low. The EZR high density archive shelving systems are designed to offer exceptional storage capacity for archive boxes with minimal wasted space thanks to narrow uprights and slim shelf beams. 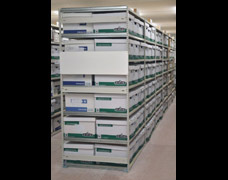 The first example here shows a typical high density system that incorporates double depth shelves that can be accessed from both sides combined with 7 levels to provide enough storage for up to 10,000 archive boxes. 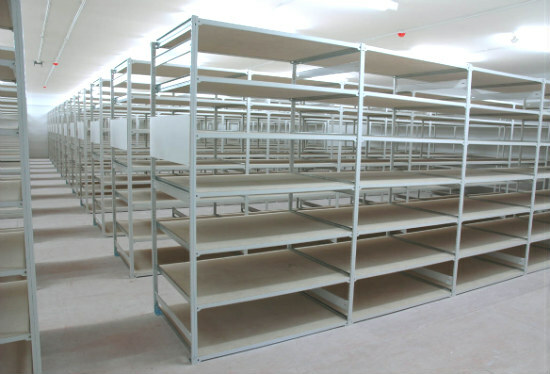 High density archive shelving systems must provide maximum capacity whilst retaining easy access and usability, the solution shown opposite was designed with a constant fixed aisle width large enough to allow heavy duty step ladders to be moved between the racking. 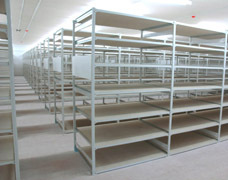 Considerations in the shelving design for the end user help to ensure the installation is 'right first time around' our industry leading archive racking systems provide one of the most cost effective solutions currently available. 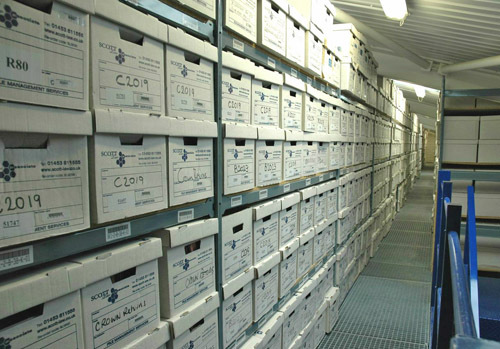 With a wide range of sizes to choose from, our expert design team can create unique archive storage systems based around your specific requirements and will see the project through to its timely completion.